The right sporting break is a blissful mix of wilderness, sport and comfort and is equally enjoyable for both young and old. 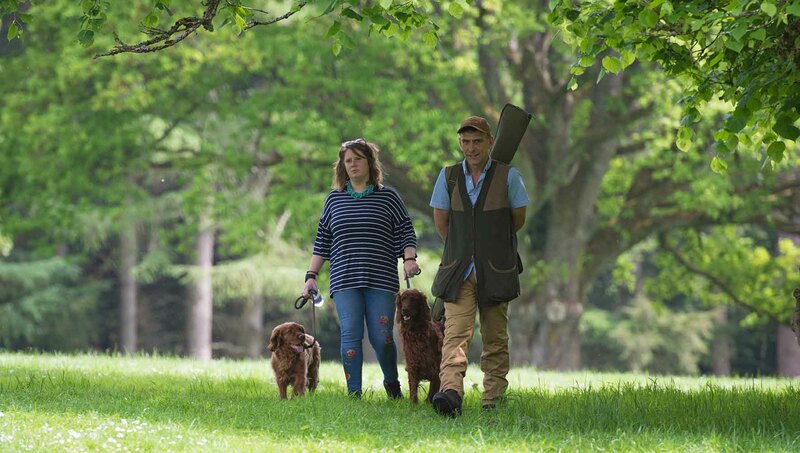 Standing in 4000 acres, there is plenty outside to keep everybody occupied, including salmon and trout fishing, pheasant shooting and clay shooting. Edradynate is the ideal location for fishing or shooting holidays and is well equipped for all types of Scottish weather. The shooting season is one of Scotland’s sporting highlights. Edraydynate offers a variety of driven shooting days and clay shooting packages to accommodate all experience levels and occasions. Edradynate estate boasts 4000 acres including two lochs and is one of the best known fishing beats on the Upper Tay. The beat contains a mixture of strong flowing pools and some faster streams and contains the legendary Church pool, a long deep holding pool. You can expect fish at any time of year from spring salmon at the start of the season to summer grilse. There are some excellent runs for fly-fishing and a mixture of spinner and fly are recommended to get the best out of the beat. A fishing hut is provided for salmon anglers and a boat with experienced ghillie can be booked at an additional cost. Trout fishing is available on Loch Derculich, situated 2 miles from the house and within walking distance. Access can also be gained with a four-wheel drive vehicle. Please note that you must provide your own rod and fishing equipment and it is recommended that all fishing is booked in advance of your stay with Custom Tied Flies. Edrydynate is equipped for all types of weather. 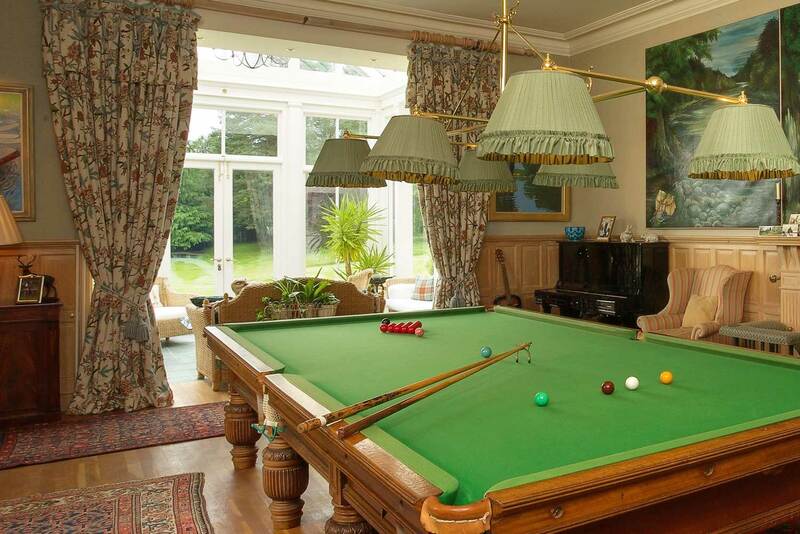 The full sized billiard table, table tennis table, piano, Sky TV and Wi-fi will keep all generations entertained. Enjoy the beautiful uninterrupted views across the gardens from the conservatory or curl up with book in front of on one of the inviting open fires. Edradynate also has beautiful gardens with lawns, terraces and formal areas to enjoy and acres of walks around the estate to explore. So no matter what the Scottish weather throws at you, there is something for everyone to enjoy. Off the estate there is a plentiful supply of golf courses. Guests can enjoy a round of golf at the 9 hole golf course at Strathtay, courtesy of the corporate membership of the House or venture further afield to the famous Gleneagles. Swimming, tennis and horse riding can also be enjoyed and if you enjoy water sports, there are an array to experience at Loch Tay a mere 20 min drive away. The local area has plenty to offer including the small busy town of Aberfeldy, which has good local shops and restaurants and the famous Dewars whisky distillery. To find our more about Aberfeldy and the surrounding area follow the link below to the Visit Aberfeldy website. To book your luxury holiday at The Edradynate Country House & Sporting Estate, simply follow the link below to our online Booking Enquiry form or call us on +44 (0)1256 381 821. We very much look forward to hearing from you.